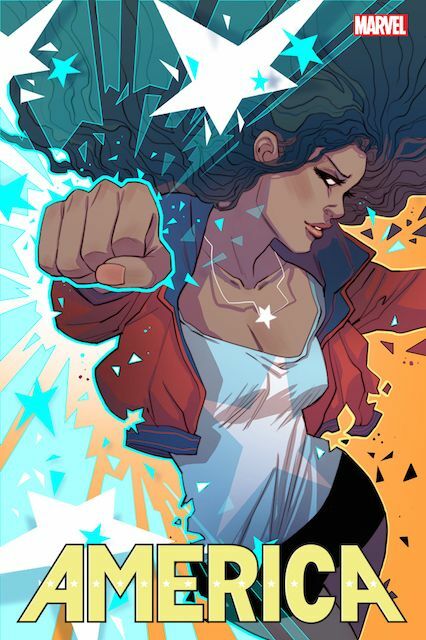 As previously reported, Marvel's fan-favorite lesbian Latina superhero America Chavez is finally getting her own series. On Friday, the creative team and new art were revealed as YA author Gabby Rivera (Juliet Takes a Breath), a queer Latina herself, has been tapped to write America and joins interior artist Joe Quinones and cover artist Marguerite Sauvage beginning in March. The exclusive news came from an interview with Rivera and editor Wil Moss at Refinery29 (highly recommended read), where they discuss how the author was chosen, her first foray into comics, her approach to the character, and what it means for America going forward. 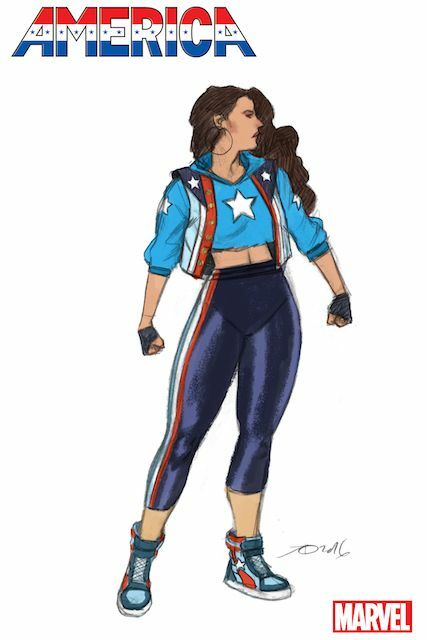 America Chavez's character and costume design by series artist Joe Quinones. 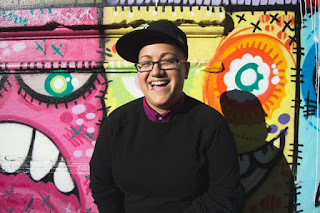 "One is, the identities: Queer Latina. She’s also a positive presence and has these catch phrases, like ‘chico.’ And she has feelings for Kate [Bishop, a.k.a. Hawkeye]. But there are more questions about what her powers are, who she is and what is she interested in. My friend Mey was like Gabby, ‘Don’t try to write a superhero comic book. That’s not why they reached out to you. Put all the joy and excitement and energy and quirkiness that you did with Juliet and bring it to America.’ So what song does she listen to when she wakes up in the morning? Does she brush her teeth in her underwear? What type of girl is she? The fundamental questions you have about someone you want to be friends with." Rivera quickly immersed herself with comics like Young Avengers to get to know what America is all about. She also found great support in queer and trans women comic book communities online. "I was able to get an idea of what fans of America would want, her stellar moments and where there was excitement around her character. And I was able to pull those thoughts into a first outline," she said. Quinones is fresh off a long run on 'Howard the Duck' and also provided art to the 'Young Avengers' series finale. Moss thinks Quinones is the perfect artist for the new book because "he can draw pretty much anything. All his drawings have a lot of personality and character to it." America's unique fashion sense will remain as Rivera notes, "She’s got her own sense of fashion, and that’s gonna continue in this book for sure." Keep an eye on future solicitations to make sure you pre-order “America” #1, when it arrives in March 2017.